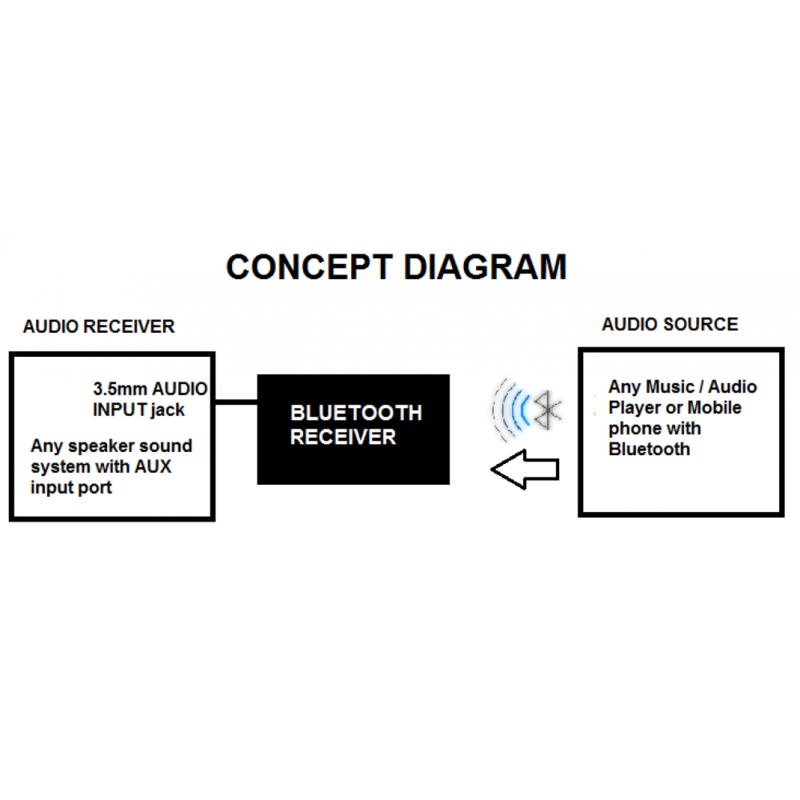 As shown in the "Concept Diagram" this BLUETOOTH RECEIVER ADAPTER can be used to listen your favorite music or audio on any non-Bluetooth audio receiver device such as a home sound system or/and car stereo. Your music or audio can be transfer wirelessly from your audio source device such as a mobile phone, iPad, etc. IMPORTANT: This device cannot be used as to answer calls because it does not have a microphone or a way to send audio back to your mobile phone. For additional questions, please contact us via eBay. • Revised Manual - You will get a revised manual with step-by-step installation and programming instructions. • 1-Year Extended Warranty - In addition to the standard manufacturer's warranty, we also include accidental damages such as water spills, drops, LCD cracks, etc. • 24x7 Technical Support - Have a question or need help installing it or programming it? Simply call us at 786-221-5997 (from 11 am to 7 pm EST, Mon - Friday EST) or drop us an email. 1. Bluetooth V2.1 + EDR makes for added data transfer rate and reduced latency in sound transmission, ensuring optimal audio quality well suited for watching TV/movies, hi-fi music, etc. 2. 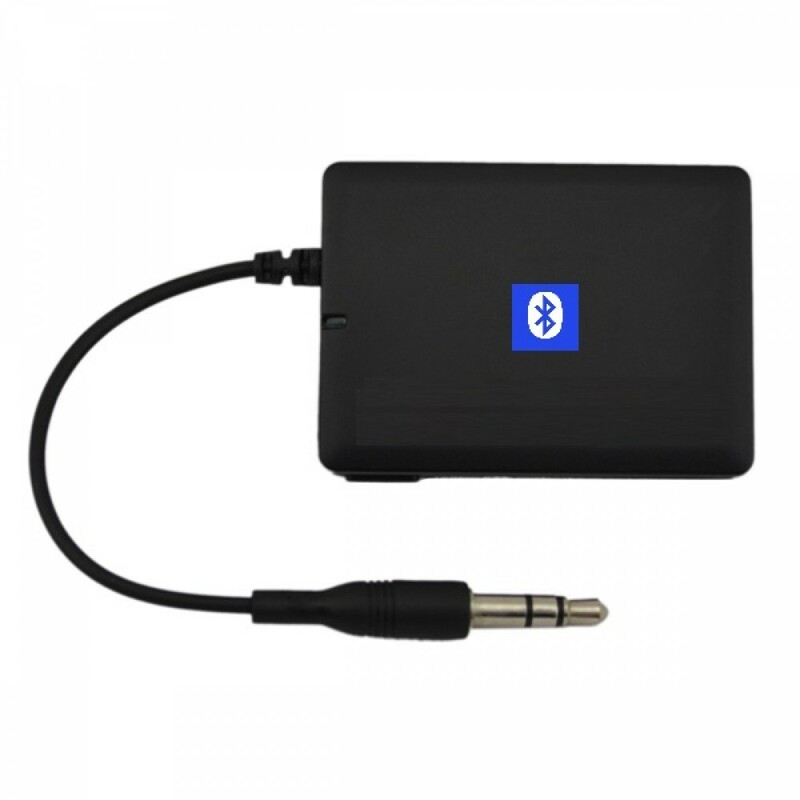 Transforms any non-Bluetooth audio device (e.g. 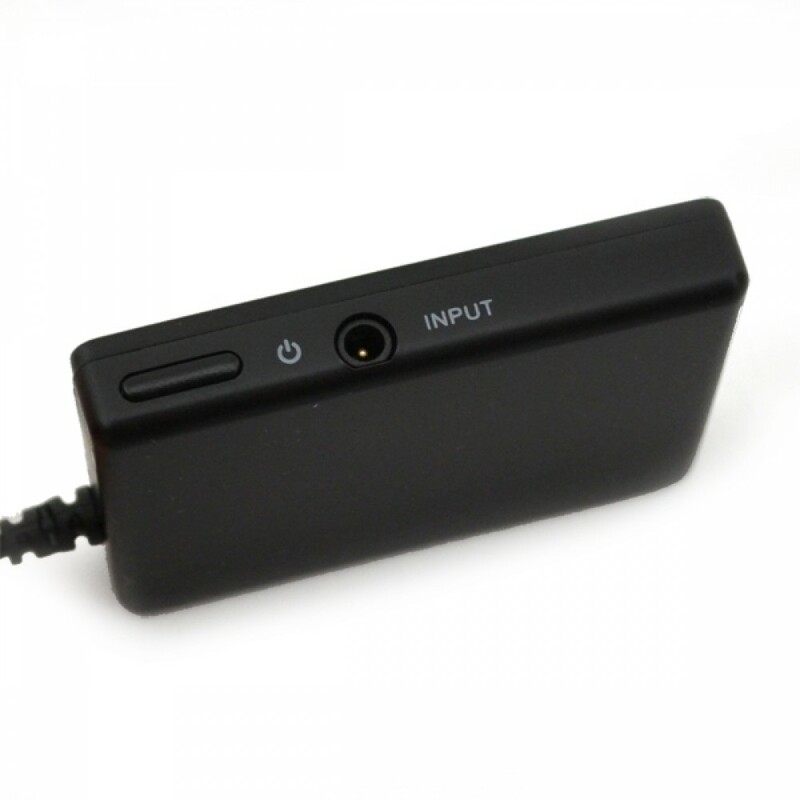 TV, computer, MP3 player, PSP) with 3.5mm audio-out jack into a Bluetooth-capable music streaming solution with no additional hardware required. 3. It can be used while charging at the same time. 4. Supports A2DP, enabling your audio device to transfer stereo audio wirelessly. 5. Embedded Li-ion battery allows for convenient recharging. 6. Energy saving capability: powers off automatically if pairing fails for 5 minutes or more. Bluetooth is a standard of close range wireless communication technology that was originally designed by Ericsson, IBM, Intel, Nokia and Toshiba. With Bluetooth technology, we can achieve the highest transmission rate among cell phones, computers, printers, PDAs and other devices. The max transmission range of class II is 10 meters while the max transmission ranges of class I can reach up to 100 meters. Will this device allow me to listen to my TV with my Bluetooth Stereo Headphone? Yes, that's exactly why this device was designed! It's ideal for couples sharing a room and a TV, or singles who don't what to wake up their roomates or neighbors with a loud TV late at night! Does it work with my Bluetooth Stereo or Mono Headphones? Yes, this device works with all Bluetooth headphones that support any of the Bluetooth profiles shown above. When connected to my TV or stereo, will I hear any delays on my headphone? Will audio output be in sync with the video? This device features a very minimal (almost unnoticeable) latency or delay. However, latency (audio delay) is an unfortunate fact on all Bluetooth devices. Can My DVD Player / TV / Stereo does not have an 3.5mm AUDIO OUT. It only supports the old RCA (white&red) jacks for AUDIO OUT. What can I do? Easy! If your audio source device does not have a 3.5mm jack for AUDIO OUT, then you will need to purchase an RCA to 3.5mm adapter cable (sold separately from several sellers in eBay for just a few dollars!) in order to to make it work. Can I use it with my MP3 players? 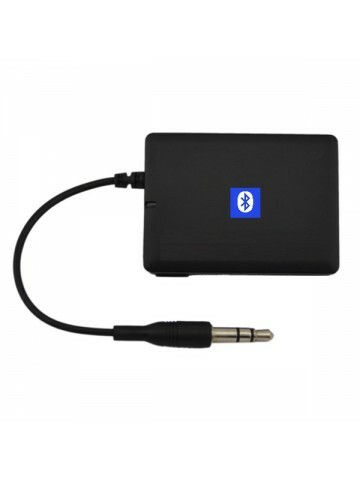 Yes, it works well with all MP3 players that support AUDIO OUT 3.5mm port/jack. It will also work with older MP3 players that only support RCA jacks, but you will need to purchase a separate RCA to 3.5mm adapter cable. My Bluetooth headset stops working when I start charging this device. Is that normal? Yes, this device will turn off automatically when you start charging it. However, you can restart it and it will pair with your headphones automatically within in minute or less. Can I plug this into my computer and stream it to my car BOSE radio and/or CD Player? Yes, as long as your audio receiving device supports any of the Bluetooth profiles supported by this device (see list above). How far can I listen with my Bluetooth Headphones or Speakers? This device needs to be within 30 feet (10 meters) from your Bluetooth receiving device (headphone, speaker, etc).